'This book is a novel in the form of variations. The various parts follow each other like the various stages of a voyage leading into the interior of a theme, the interior of a thought, the interior of a single, unique situation the understanding of which recedes from my sight into the distance. It is a book about laughter and about forgetting, about forgetting and about Prague, about Prague and about the angels.' 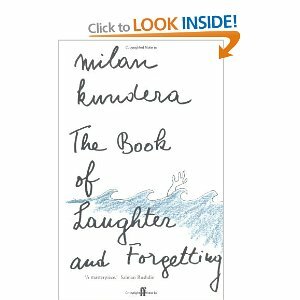 The Book of Laughter and Forgetting is the most secret of Kundera's novels. This new translation is the first to be fully authorized by Milan Kundera. I need to read more short stories, I love them and so enjoyed this book that were recommended to me by a friend. I didn't understand everything Kundera wrote, but it didn't matter. The words were still magical. The stories were painful and beautiful, sad and loving. One of my favourites was Litost (a word that cannot be translated) about the young poet and his ugly lover from the country. Now that I have found this book, I will re-read these stories again and again. 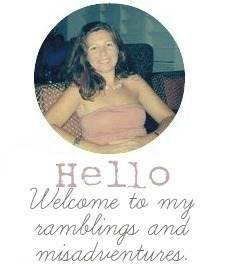 Your blog is so lovely, Robyn! I'm always looking for new books to read. This sounds like something I would enjoy but would never think to pick up.. might have to give it a try. This sounds like a good book. I like reading short stories every once and a while! I'm definitely going to try out more short stories myself! Thank you for the recommendation! I've never really read short stories either! Glad you liked them.